Because of our close association with our sister company, RegisterAnAircraft (RANA), we have specifically developed our aviation insurance capabilities and these are, of course, available to our non-Group clients. We have established partnership relationships with specialist aviation brokers in the London and French and American aviation markets for both general and commercial aviation business which would cover a whole range of different types of aircraft. 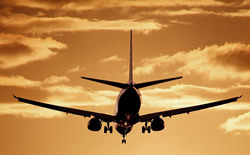 We would carefully select the appropriate partner to work with depending upon your requirements that would utilise our aviation market presence to negotiate competitive terms for your aviation insurance needs.